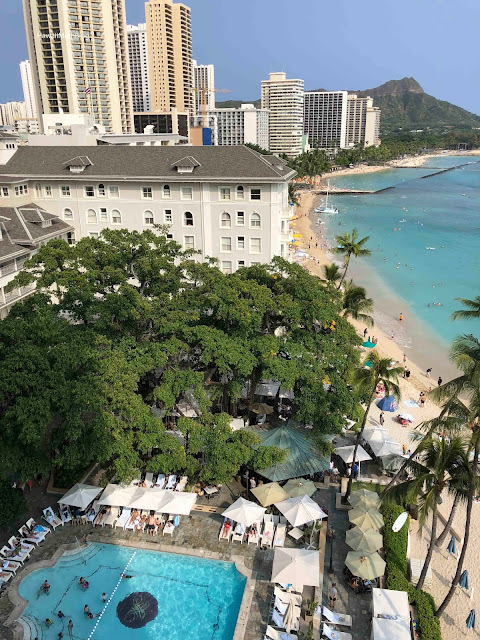 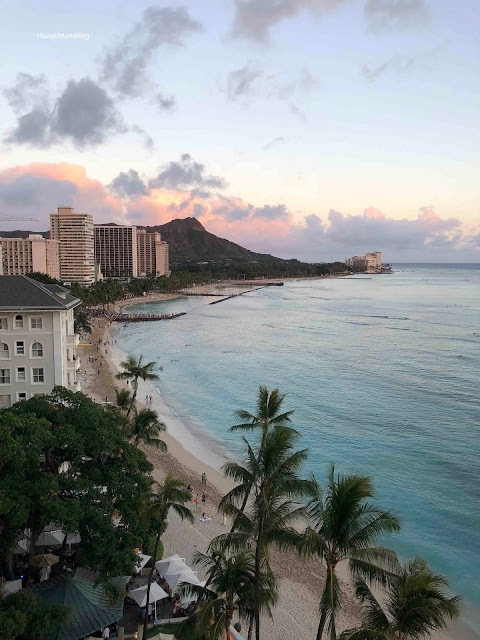 Last month I staycationed at the Moana Surfrider, a Westin Resort & Spa, for the first time. Opened on March 11, 1901, the Moana Surfrider is often called "The First Lady of Waikiki." 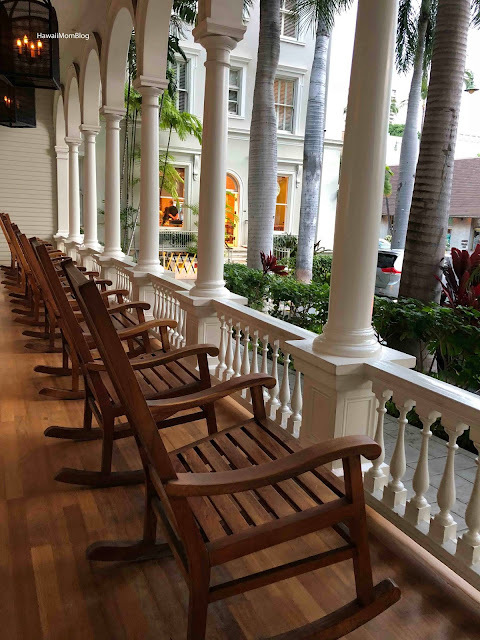 This beachfront hotel evokes nostalgia with its stunning facade and wooden rocking chairs, yet offers modern amenities for a convenient, comfortable stay. We were fortunate to stay in a corner, ocean front Tower room with the most magical views. 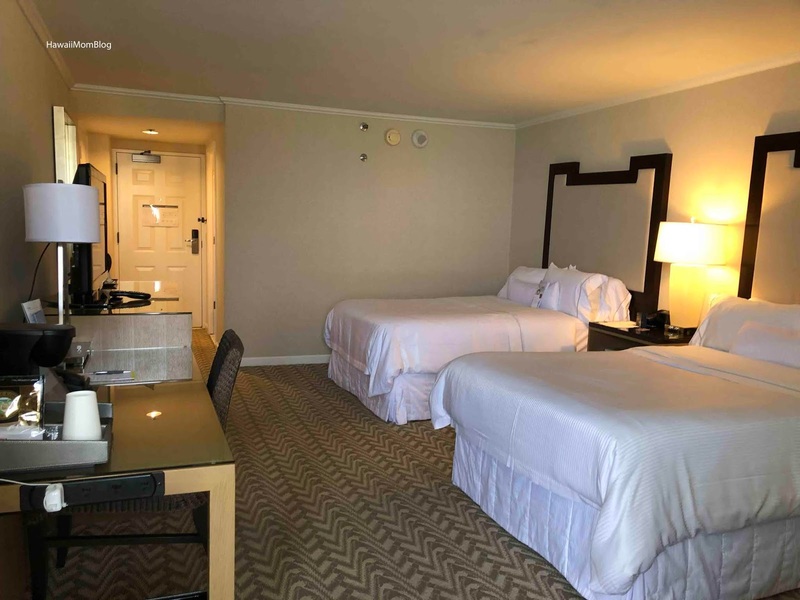 The spacious room included two Westin signature Heavenly Beds, a 32" LCD TV, a mini fridge, coffee maker, and Royal Kona coffee and select Tazo Teas. 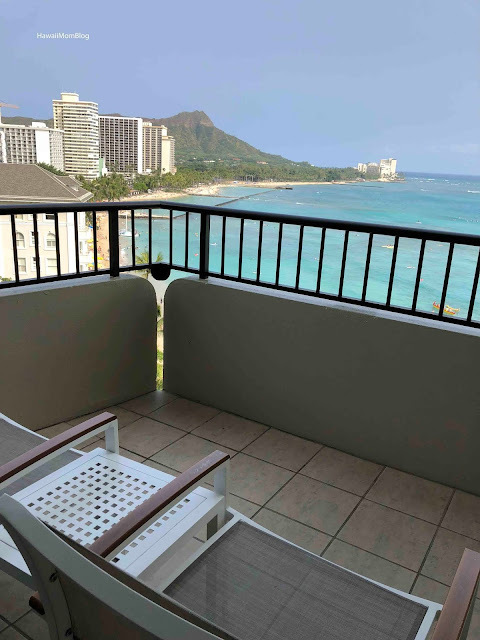 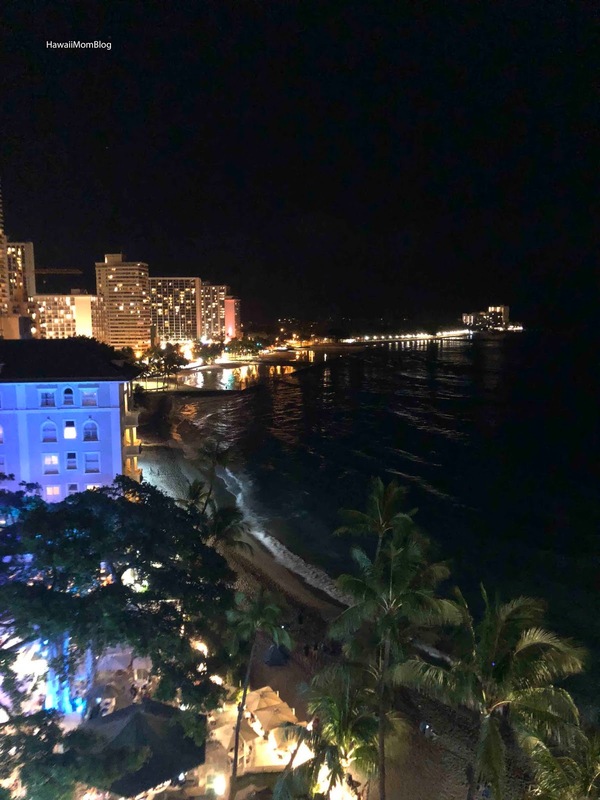 Although the location of our room meant we could hear the live entertainment from below at night, I actually didn't mind - it was pretty calming to sit on the lanai and listen to beautiful Hawaiian music against the crashing of the ocean waves. 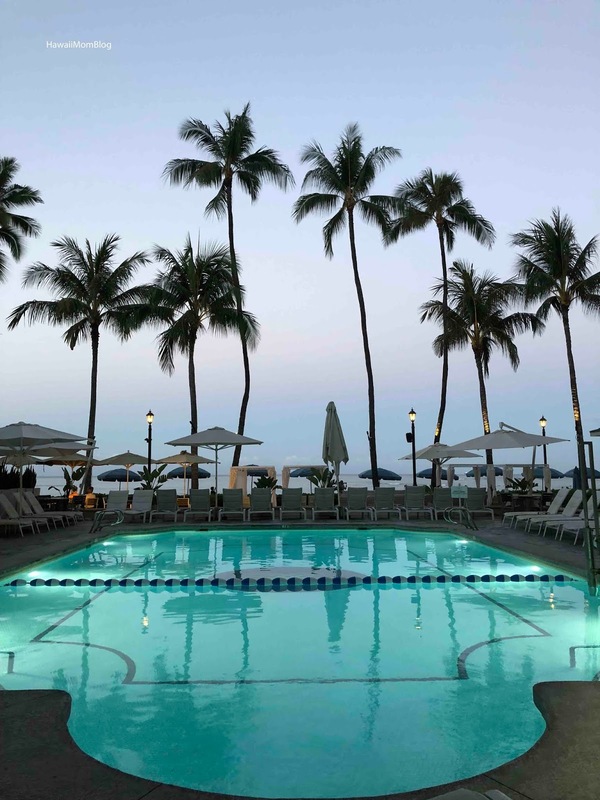 There are fabulous dining options on property, as well as a spa and pool, and the beach is literally just steps away. 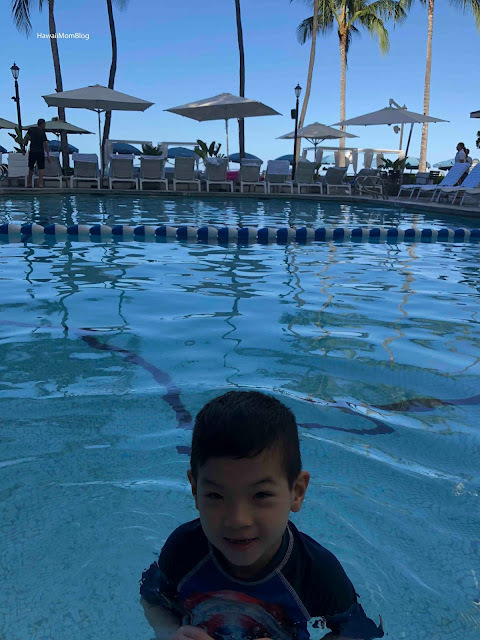 We made sure to get to the pool early so we could snag a seat under one of the few umbrellas. 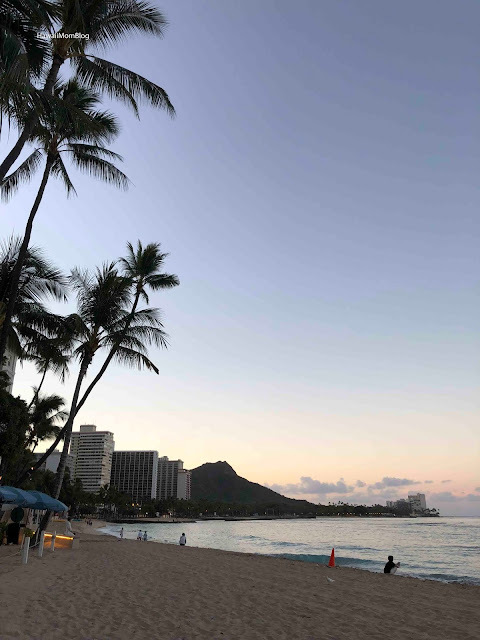 In the mornings, it was really nice to walk along the beach before the crowd settled in. 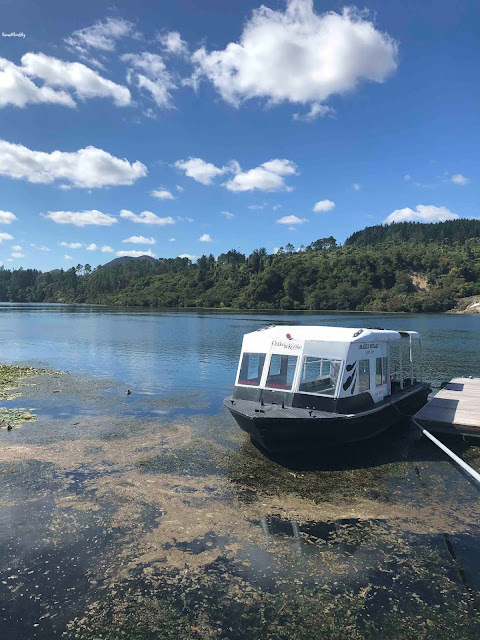 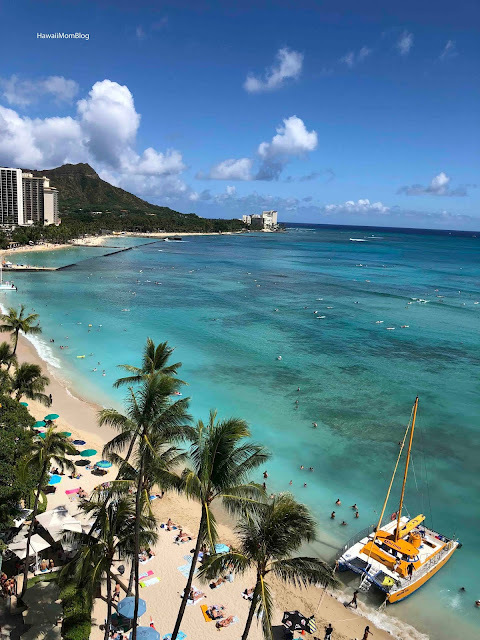 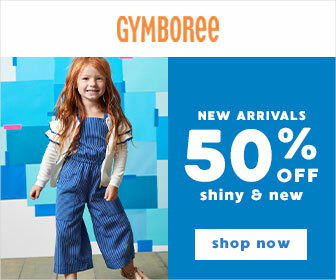 A daily resort fee includes two bottles of water replenished daily, a 4x6 photo greeting card, WiFi, a 1-day GoPro camera rental, shopping discounts, a Moana Shopping tote bag, and more! 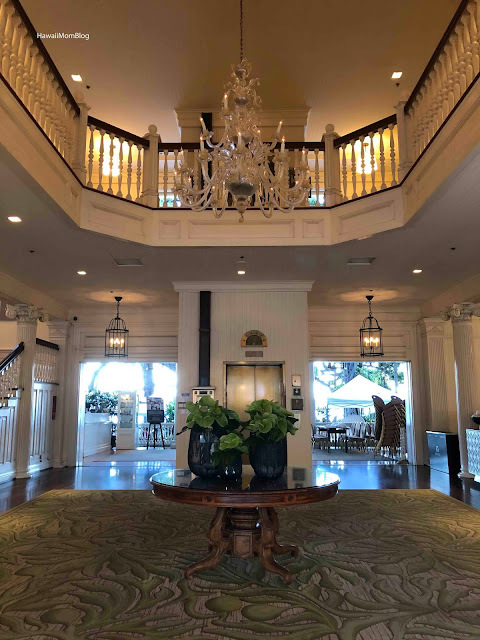 Valet parking, or self-parking at the nearby Sheraton Princess Kaiulani hotel, are both offered to guests for an additional fee. 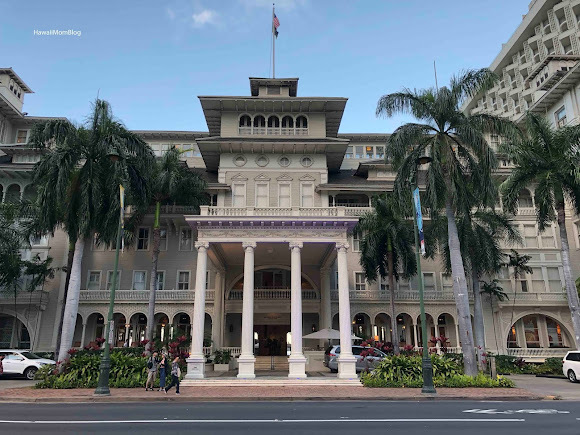 I had a lovely weekend at the Moana Surfrider, full of magical memories!